A little round up of the chocolates you can send me if you want to win my heart. I know we all have theme fatigue, but what is life without love, and what love doesn’t thrive with the odd injection of a bit of frippery. Of course, for me chocolate is always a serious business, and I am not suggesting you go for anything other than the best. However, if you know that your beloved will prefer the unadulterated, the purer statement, then have a look at the selection I collaborated on in FOUR – The World’s Finest Food Magazine. But if the object of your affection can take a bit of sweetness and light, look no further. Or read both, and play the field!! Paul A Young’s virtual world tour. 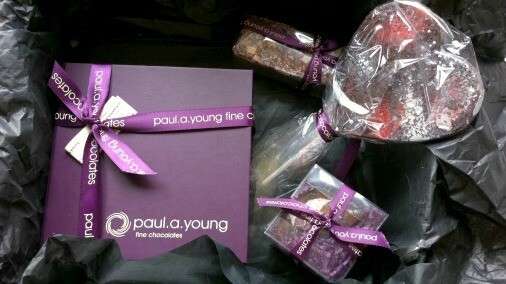 As you can see from the lead photo, Paul A Young has a range of things to tempt. You could be coy and proffer a lollipop, or go for full committal with a large box. The romance is subtle here, heart shaped chocolate aside. Paul has chosen to imply romance, rather than wack you over the head with it. 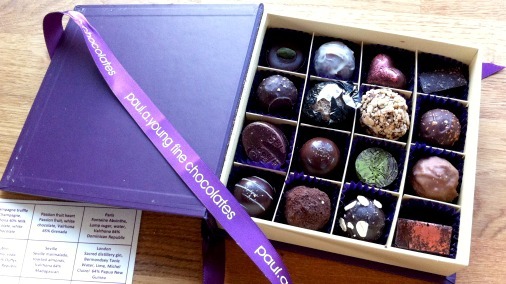 The chocolates are the first of a new range of collections that Paul is going to release. This one takes as its starting point great cities of the world. It is, if you will, a lifetime of mini-breaks in a box. Menu for Paul A Young cities collection. 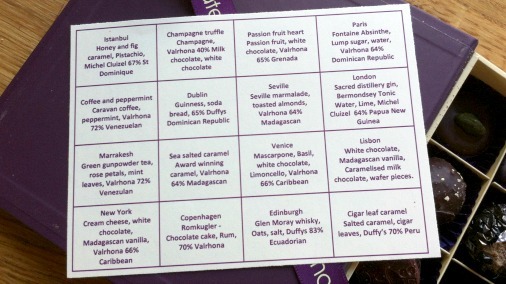 As you can see, the names of the chocolates reference wonderful travel destinations. The flavours are typical of their namesake cities, and conjure up thoughts of places loved, or destinations as yet unknown. So it has the romance of the traveller, and maybe from the person giving them an indication of adventures to come. This is a strong collection, with many great new flavour combinations. I particularly like Paris, with its unmistakeable anis warmth, balanced with smooth dark chocolate. Subtlety is not characteristic of the green fairy, but Paris itself is always well judged and stylish. So this is a perfectly balanced winner. Seville is very easy to like, with the fruit of both 64% Madagscan chocolate and orange marmalade, combined with toasted almond. My absolute favourite is Edinburgh, peaty and smooth, with lots of fruit. The salt rounds it out, the oats add crunch and a little earthy note which compliments the malt. This is a smooth dark delight. 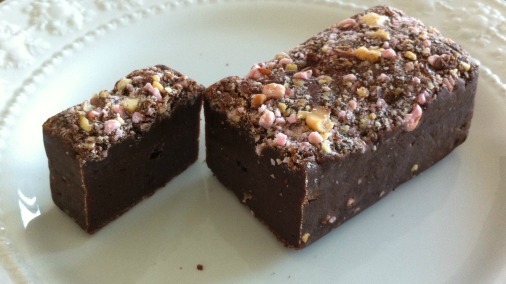 Paul A Young’s pink praline brownie. One more idea from Paul. 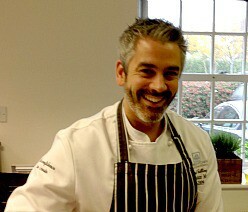 If you are looking for a date, rather than something to give, why not head down to Heal’s and go to Paul’s shop/tearoom. You could share one of the Valentines brownies, with added crunch and nutty sweetness from the pink praline. And maybe let your beloved pick his/her own chocolate selection. A very endearing quartet, from Rococo. 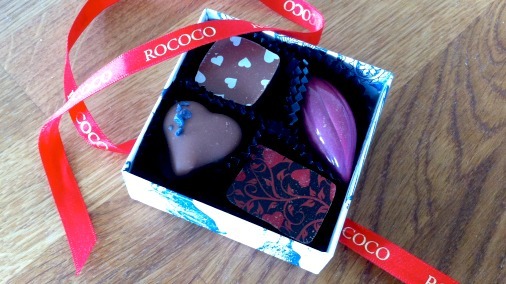 The Valentines offering from Rococo includes the most spectacular painted hearts. As always their artwork is second to none, both on the packaging and the chocolates themselves. 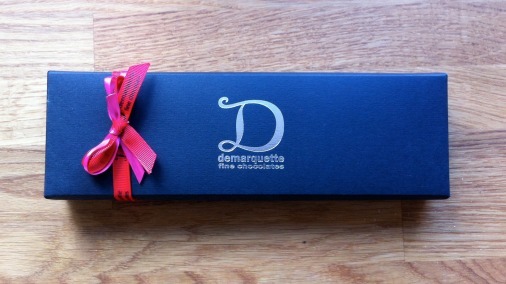 They also have a small but perfectly formed little quartet of chocolates especially for the season. These are classically perfect for Valentines, with floral notes and fruits aplenty. Mango and Passionfruit is a soft buttery caramel, full of bright fruit, well complimented with a fine dark chocolate. Raspberry and Rose caramel, the beautiful red tinged cocoa pod above, marries the Turkish Delight familiar exoticism of rose with raspberry, which brings it back from candy territory to something brighter and more delicious. Lemon and violet ganache nods to the nostalgia of a parma violet, but that floral accent plays the accompaniment to the lemon curd zing of a smooth lemon and white chocolate ganache. Finally, Strawberry & Marc de Champagne Ganache combines the toffee sweetness of a fine milk chocolate ganache with a delicately delightful mara des bois jelly. A lovely little quartet indeed. La Maison du Chocolate comes over all caramel. 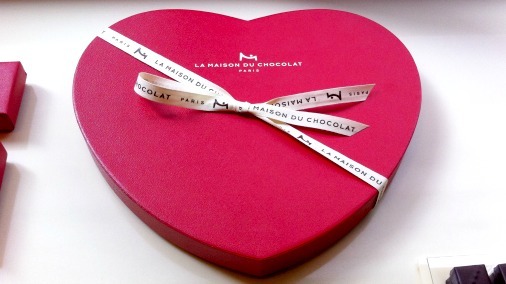 If you want to go full blown classical, and impress, you might head to La Maison du Chocolat. This year their Valentines offering is a play around the French use of the word ‘caramel’ to mean beloved. ‘Mon petit caramel’ is much like saying ‘my sweetheart’. The chocolates are not actually caramels, but use caramel in the ganaches, to enhance and marry with other flavours. The joy of La Maison du Chocolat caramel is that it is taken to the darkest point, they do not mess around, it is as deep and toasted as it could go. In Coeur Craquant, it is combined with Piedmontese hazelnut praline and caramelised biscuit to ensure a wonderful texture and nutty flavours. In Caramel Fusion, the woody aromas of Rooibos tea makes a very happy partner to a milk chocolate caramel ganache. Revelation Fruitee takes the natural partners, pineapple and ginger and warms them up with dark chocolate and caramel. The final chocolate in the group marries a Venezuelan dark Criollo chocolate with deep caramel in something pure and quite lovely. 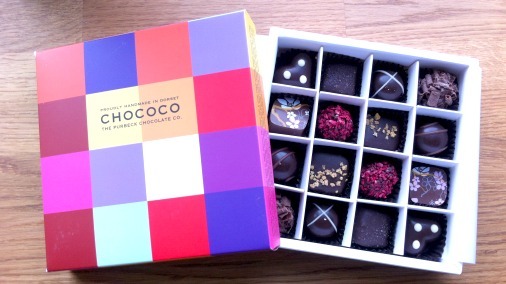 From the international to the local, Chococo, Dorset’s finest, are always a joy to eat. This year’s Valentines box contains great diversity, and happily has two of each! So you can share, and compare notes, which for me is always one of the joys of any culinary indulgence. Of this new collection I would single out Dotty Apricotty, a dark chocolate heart filled with the mellow and rounded fruitiness of Turkish apricots and a drop of almond oil. A ganache with a lovely deep creamy quality. Also Salt Sweet Smoke is a joy, a fluid muscovado caramel with depth and character from a dark chocolate shell and a touch of smoked salt. Truly delicious. A whiskey pairing selection from Mss Witt. 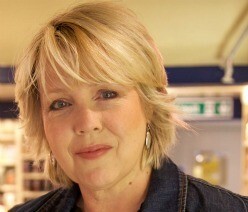 A new appearance in my writing, Miss Witt, is an artisan chocolatier working out of the New Forest. These were my first introduction to her chocolates, and I have still to find out more about Kerry Witt and her creations. However on first meeting I am happy to tell you there is a flair for flavour here. One to watch. The chocolates above were for a whiskey pairing she had collaborated on. One to compliment the drink, with malt and cinnamon, the other to contrast, with juniper and tea. 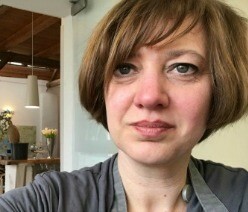 The juniper chocolate was both exciting, new to me, and a real treat to the taste buds. I loved it! Juniper, both bright, spicy and aromatic, brought the whole thrillingly alive. 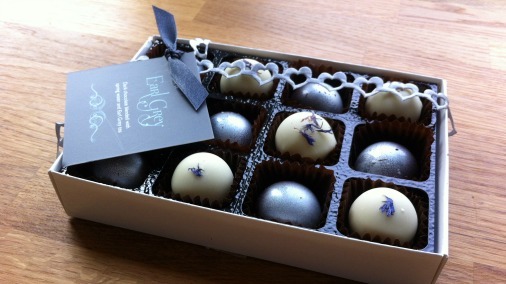 Miss Witt’s Valentines offering is this duo of Earl Grey tea infused chocolates. White chocolate and dark, each with a fine floral infusion of the aromatic tea, well blended, in smooth ganaches. 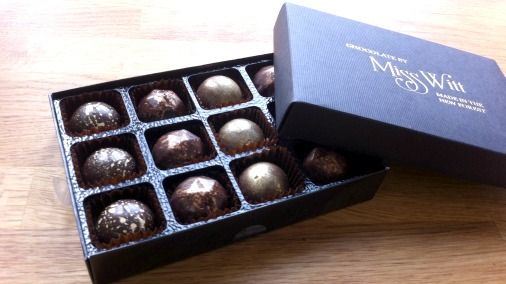 This box of heaven is from the master chocolatier Marc Demarquette. His work is consistently excellent, so I was looking forward to opening it! Marc did not disappoint! These beautiful little hearts are a duo of milk chocolate caramels. 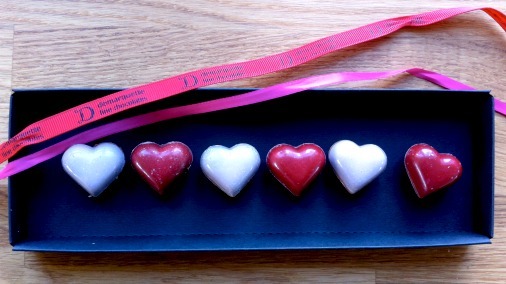 The red heart is filled with a buttery beauty of fresh strawberry, sweet but entirely balanced and full flavoured. The pale pink number is full of passionfruit zing, the creamy caramel enhanced with a caramel-rich milk chocolate. Both are indulgent, beautifully judged, and you would have to be heartless to spurn them!